My own personal city I've been slowly creating for over 4 years, I'd like to keep it forever and just keep going. If any of y'all play it and create some cool ideas contact me I'd love to see! Cheeses 13,000 downloads? I'm loosing my mind guys!!! Updated several buildings,completed the underwater tunnel as well as an underwater biodome. Some jungle updates, a few Egyptian City updates, signs and place-names etc. Thanks for 11,600+ Downloads guys, means the world to me. Thanks a million. City on the River - fireworks, concert hall, cinema, stadium, shops, restaurants, churches, police, hospital, fire department, parliament, airport, seaport, farm, castle, ......., etc. 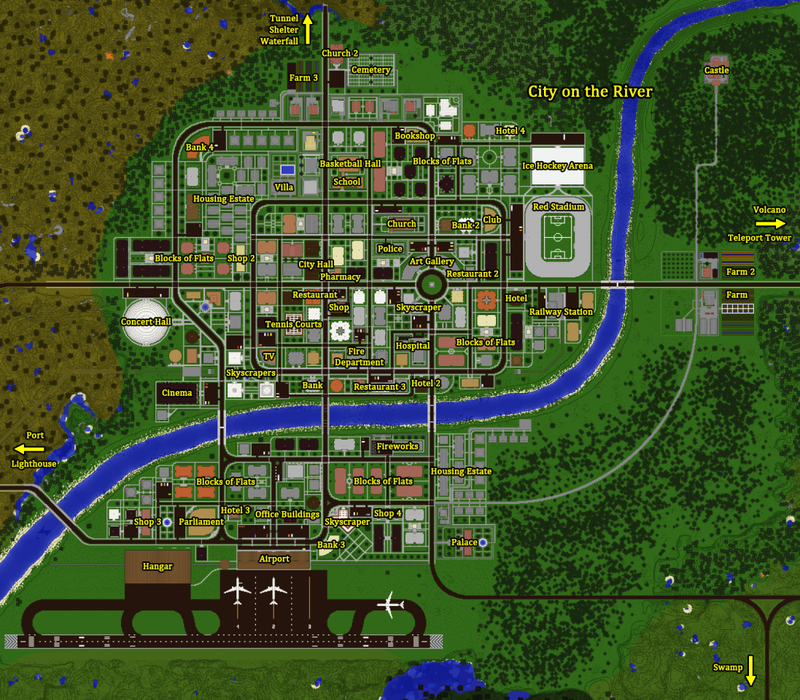 Here is a city I have been working on for quite awhile. It is a modern/futuristic compact pedestrian city consisting mainly of walkways for citizens to traverse. What has been completed so far is the main residential district, complete with apartments, shops, a subway terminal, and much, much more. I really hope you enjoy this Minecraft creation. PLEASE COMMENT AND TELL ME WHAT YOU THINK. I WOULD VERY MUCH APPRECIATE IT! THANKS! A world of random, ambitious creations. I am slowly building up a backstory for this place.